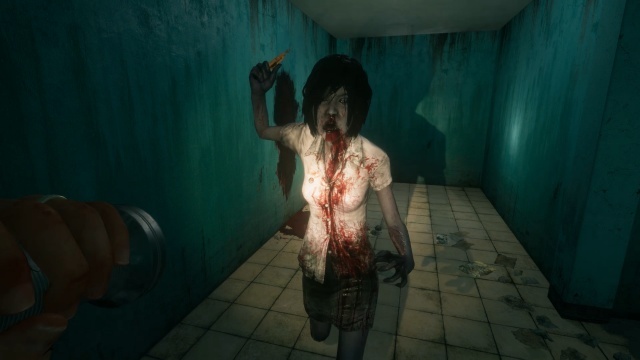 Home Sweet Home is a first person survival horror developed and published by Thai developer Yggdrazil Group. Right from the start, the most unique part about the game is its setting and overall atmosphere. 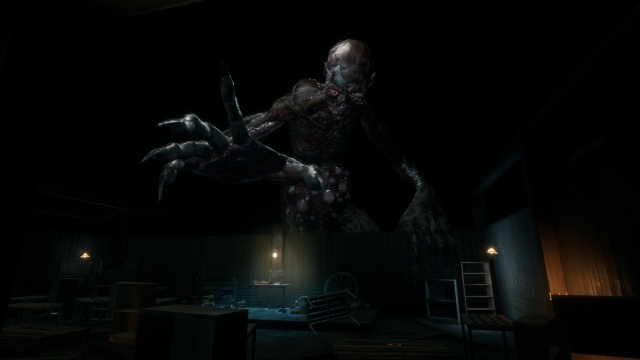 The entire game is completely based on Thai folklore which is unique for survival horror. The game is the first game in a planned series of games, so it's rather short - only about 3 - 4 hours of gameplay - but it has some good potential in it and some overall good horror moments that many survival horror fans will be interested in. You play as a guy that travels to creepy areas from his house. The house is the central location where you wind up in between stages, sort of like the room in Silent Hill 4. While traveling to various locations, you'll be solving puzzles, finding items and avoiding creepy ghosts in order to advance through the stage. The majority of enemy encounters require stealth. You can hide in lockers or take cover behind objects to hide from ghosts and other creatures that you'll run into. There is very little way to fight back besides some button tapping when certain ghosts catch up with your character. The puzzles are nothing super complex, but some of them have some nice thought in them. You'll often find hints for the solution of a puzzle near it, but the game doesn't flat out give you the solution. There are also many hidden collectibles to find per stage and notes to read. If you're a fan of good jump scares, you'll find something to like in Home Sweet Home since it has a good bit of them and some of them are very well done. There are many cheap scares, such as doors that slam and other loud noises, but the game also has some VERY sudden creative scares that really got me at points. The person that you are playing as is searching for his wife (Jane). The wife will appear many times and suddenly get closed off in an area and you'll have to solve puzzles or find items in order to gain access to her last location. Sadly, the game's story and characters are very vague. You only get to learn about what is actually going on through diaries and a few cutscenes. It's interesting that you actually get to learn more about the enemies in the game rather than the main character and his wife. Considering this is the first game in a planned series, the story to the game has good potential at this point however, so we'll have to wait and see before truly judging the game's story. The graphics are overall good for setting up the game's creepy atmosphere. You'll find some areas that have some extremely creepy appearances to them, such as a floor of a building that is completely dark with only one door open with red light coming from it, restrooms full of blood, rooms with spell tablets stuck to walls, etc. The enemies all have their own unique sounds such as the ghost woman that walks around clicking her knife and making white noise sounds. The game has a few instances of random glitches and overall weirdness. Sometimes the AI enemies in the game would get stuck in certain places. The ghost woman once got stuck moving against a wall while walking around and one time she caught sight of my character and got stuck running against a table while trying to reach me. I also found it very humorous that the only part of your character that can be seen in a mirror is his hand when he's holding a flashlight. It's kind of creepy in a way. Toward the end, you play a sequence where you're armed with a candle and knife and can only see two hands holding both objects when you face a mirror. Having an actual character model would help a bunch with immersiveness for areas with mirrors or just cut out the reflection altogether. I also find it strange how some doors open toward your character and actually clip through your character (well, the floating flashlight hand). The actual ending to the game goes off with a huge cliffhanger - I literally just stared blankly at the screen for several minutes after the cliffhanger with how shocked I was that the game ended that way. It tells you that the story will continue in "Episode II" directly after the cliffhanger. It would have been so much better if the developers would have had more closure to the first episode rather than leaving so many questions unanswered. The final sequence to the game is quite interesting, but so very cryptic with the way it all ends up. If the next episode(s) of the game can fill us in more on what is going on and add more depth to the characters, this game series could have a good amount of potential, but as a standalone game, Home Sweet Home feels too incomplete to rank high among many other indie horror titles. Final Rating: 70% - As the first part of a series Home Sweet Home has potential, but as a standalone game it is a mixed bag.